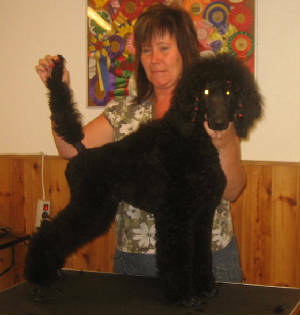 Saffran is a very beautiful female with a lovely feminin head. 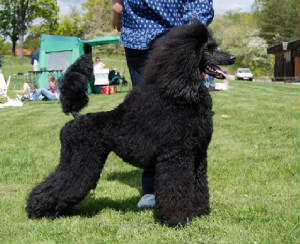 CONGRATULATIONS to Saffran´s BIS 2 at the Poodles Day 16th May 2009. 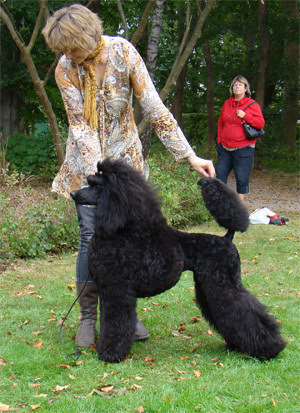 She is owned & loved by: Susanne Lövgren, Rejoice Kennel, Sweden. 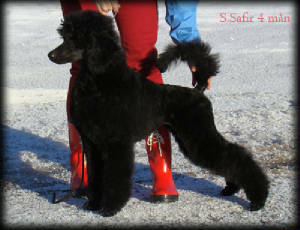 Safir is a very showy poodle girl that has get the best things from both father & mother. 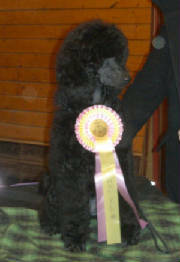 BIG CONGRATUALATIONS to Safir, her owners & breeders Åsa & Hans at Sagan´s Poodles. Rubin is a very lovely male and looks nice. We wish him all good luck in future. 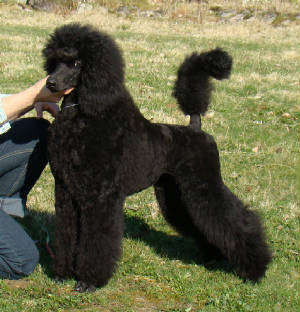 Here he is newgroomed by his breeder & groomer Åsa at Sagans Poodles. 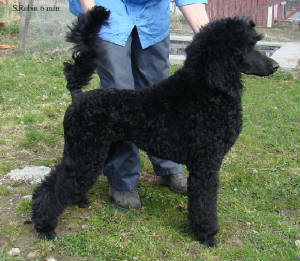 Sigge is a very showy & happy poodle male with lots of body, style & attitude. 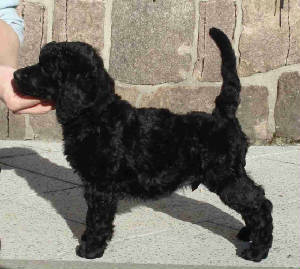 He looks very promising at the age of 5months, he has got the best things from both father & mother. 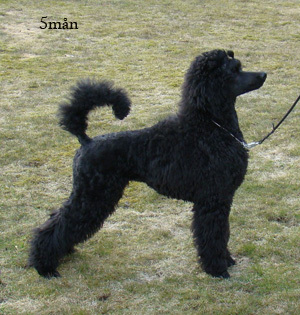 And in the head he is very look alike our Wilma. 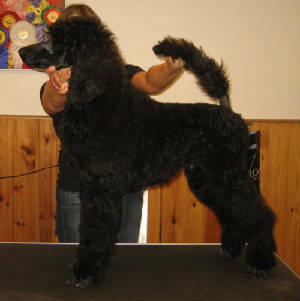 He will be in the showring 2010.